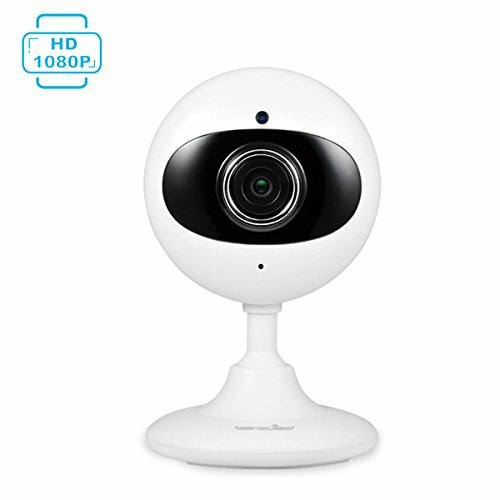 The Wansview Mini Wi-Fi Camera offers you an easy way to check your home while you're away. You may access your camera from anytime and anywhere with our free app or through the web. . Stunning 2.0 Mega pixel video brings you a sense of visual enjoyment . You can transmit high-definition 1980*1080p videos at a steady 30 frames-per-second in real time. Constructed with an antenna to improve both the Wi-Fi connection and the transmission rate, the live stream will display directly to your Apple iOS or Android smartphone and tablet, or to the PC application. 6.Supports viewing on web browsers (IE, Firefox, Chrome),phone and tablet. Run the Wansview App, tap "+" and select "Add Cameras Via WiFi Configuration Guide" to set up it step by step.